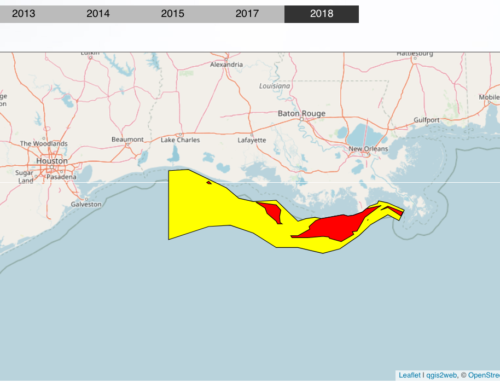 U.S. News reports the growth and environmental impact of marine dead zones: large, oxygen-depleted swaths of water that form each summer off the U.S. coast because of fertilizer runoff and other pollutants. Among other concerns, scientists have warned that efforts to meet recently adopted U.S. energy policies will likely stall efforts to reduce the size of dead zones, since the extra fertilizer needed to satisfy the demand for corn for corn-based ethanol will send more nitrogen and phosphorous into waterways. 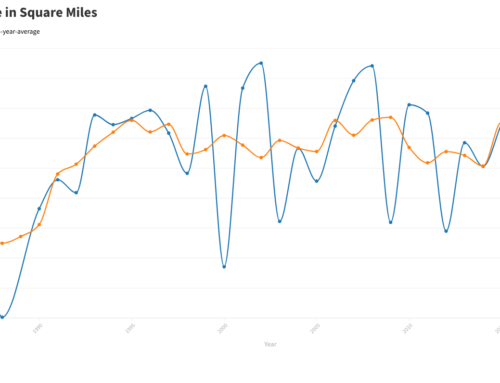 Now, new figures point to the immediacy of the problem. 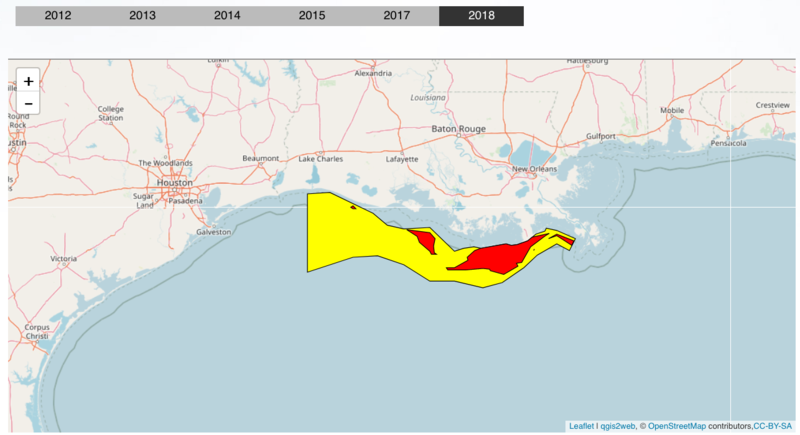 In a forecast released this week, a team of Louisiana scientists predicts that the Gulf of Mexico dead zone will cover more than 10,000 square miles this summer, a swath nearly 20 percent larger than the record-setting dead zone of 2002 and more than 50 percent larger than the annual average since 1990. 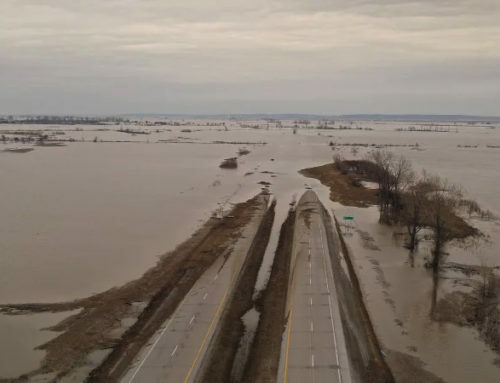 Behind the growth, they say, is a sizable increase in the nitrogen load at the mouth of the Mississippi River and in the Gulf. One reason: U.S. farmers, encouraged by ethanol mandates and higher commodity prices, have expanded corn plantings and driven the acreage of other crops to record levels. Farmers are using more fertilizer, which contains nitrogen and phosphorous. These chemicals, when not used by crops, often find their way from farmland into water. Corn, because of its shallow roots, tends to be quite "leaky." 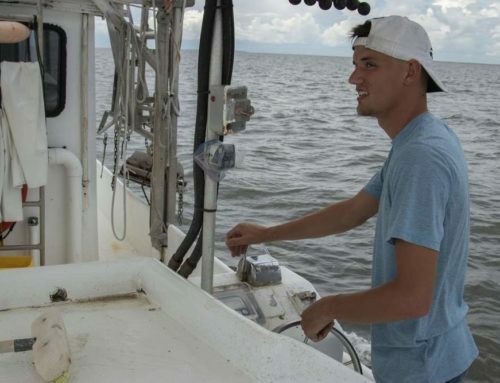 In May, the team of scientists, which includes researchers from Louisiana State University and the Louisiana Universities Marine Consortium, found that nitrogen loading in the Gulf was 37 percent higher this year than in May 2007. The level was the highest since researchers began taking measurements in 1970. The predicted size of the dead zone—roughly that of the state of Massachusetts—has researchers particularly worried. Although the dead zone has gradually expanded over time, it has remained confined to relatively shallow water and has yet to seep over the ocean shelf and into deeper water. But that streak could be in peril. 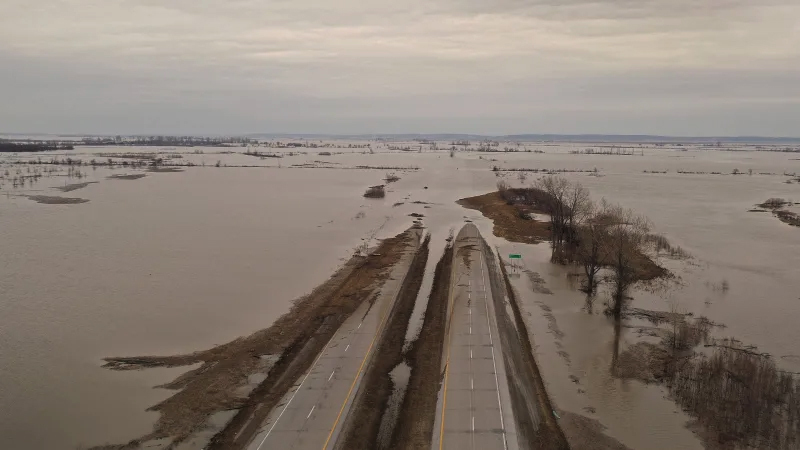 "The shelf only has so much room," R. Eugene Turner, the Louisiana State professor who led the forecasting team, told U.S. News. "It is getting saturated." 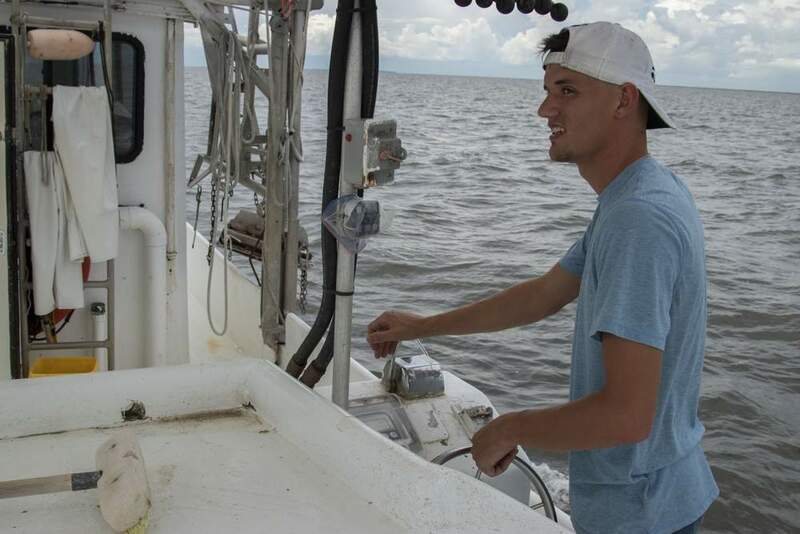 This year, researchers began finding low-oxygen (or hypoxic) regions around coastal Louisiana in March. 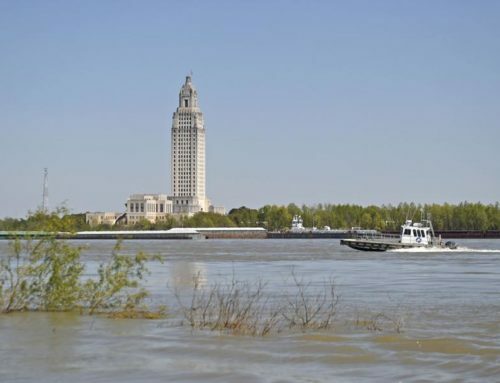 Since then, as the runoff from spring crop plantings has made its way south down the Mississippi, these regions have been growing, as accumulating nitrogen and phosphorous fuel the growth of algae that, upon decomposing, depletes the water of oxygen. 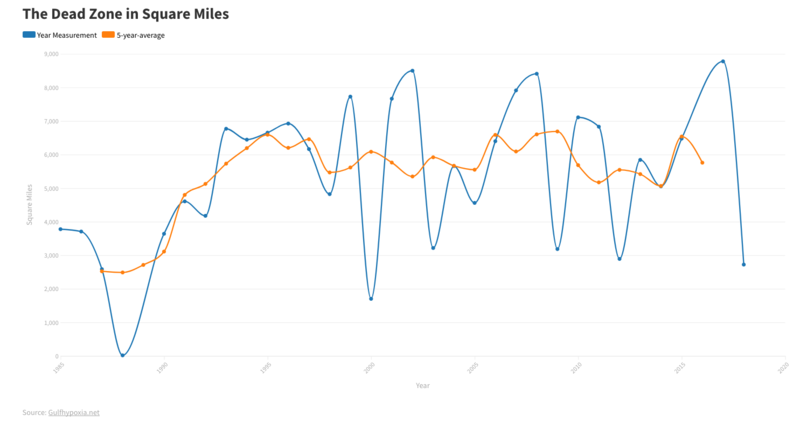 The cycle this year has been aided by more water flowing into the Gulf from the Mississippi because of rainfall and year-to-year climate changes.